Check out the 2019 Child Support Calendar. It is the responsibility of each parent - both mother and father - to make sure their child has enough food to eat, clothes to wear and a safe place to live. Still, some children do not get the support they need. Regardless of their living situation or relationship, both parents should provide the financial, medical and emotional support a child needs to grow into a responsible adult. New Jersey's Child Support Program can help. There are two parents in every child support case. One is the custodial parent (or the payee) - the one who lives with the child and has the primary day-to-day responsibility. And the other is the non-custodial parent (or the payor) - who also has important responsibilities. Co-parenting is vital to maintaining a healthy relationship with your child. Although one person may have the day-to-day duties, taking shared responsibility is a key element in the support and success of children. Remember: your child has the right to support and you have the right to this help. All the services described on this site are available to you. We hope the information here will help you find your way along the child support road. Keep in mind: Child support is more than just money. If you would like more information, call the New Jersey Child Support Information Line, 1-877-NJKIDS1. 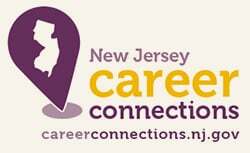 Click here for the NJ Child Support Automated Phone System Quick Navigation Guide. Customers: need to update your address information? Your update assures reliable case activity. Log in to your case information using your ID and PIN number, then click on account settings.